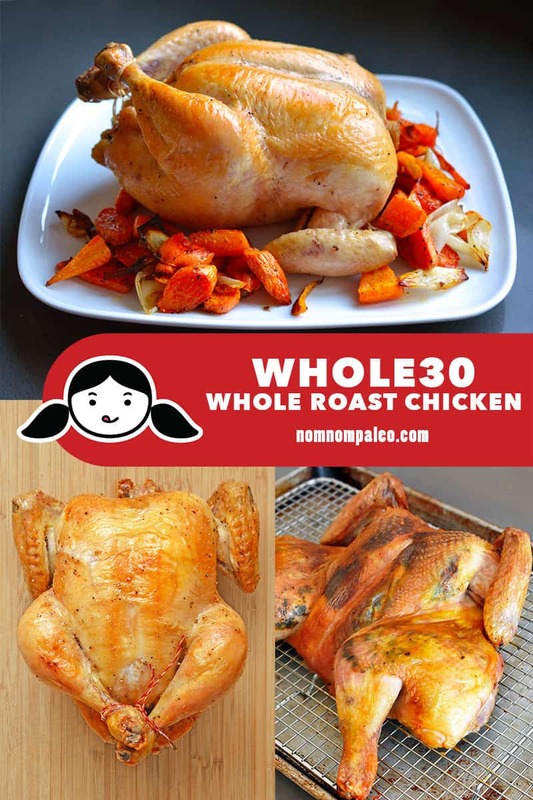 A whole roasted chicken is a simple, quick, and economical Whole30-friendly weeknight main dish. What I love best about whole roasted chicken is that it doesn’t take a lot of hands-on time to prep it for the oven, which means you can work on a simple vegetable side dish as you’re waiting for the chicken to finish cooking! By stocking up whenever whole chickens go on sale, I can always keep a couple of birds in my freezer. When I’m ready to cook, I’ll take one out and pop it in the fridge before the start of the workweek. That way, it’s thawed and ready to cook mid-week—right when the temptation to order takeout is greatest! You can roast a chicken the traditional way or you can spatchcock it (i.e., remove the backbone) and cook it flat. Either way, you’ll end up with a succulent roasted chicken that’ll make your house smell amazing! 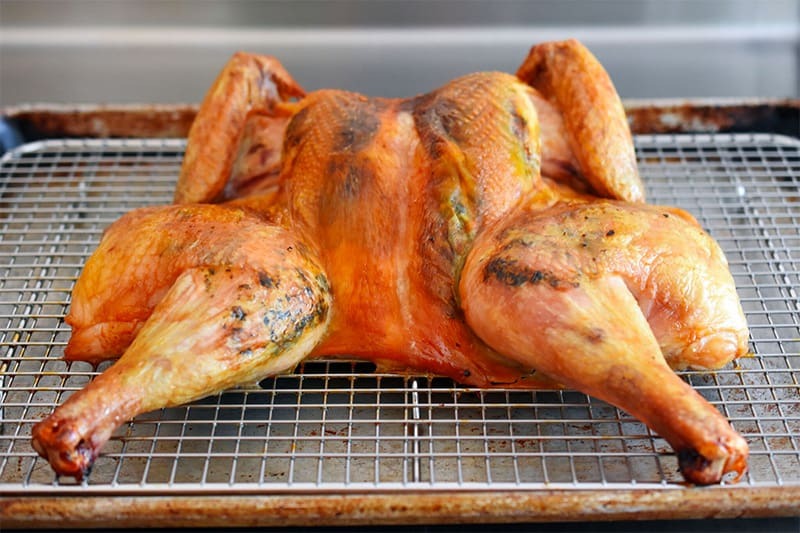 Spatchcocked Chicken with Herb Ghee: This method for butterflying and roasting a whole chicken is far and away my FAVORITE way to prepare an entire bird. Don’t be intimidated by spatchcocking—I’ve got step-by-step pictures to show you how to do it! 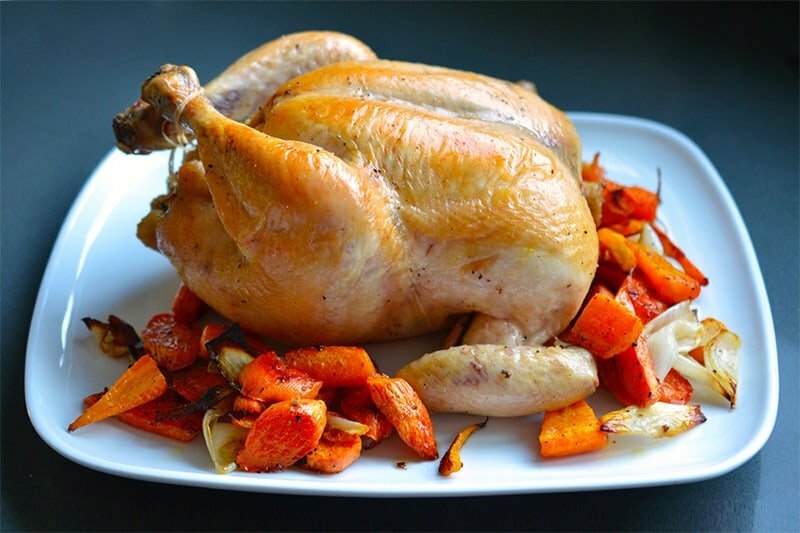 Weeknight Roast Chicken: This fool-proof recipe for Weeknight Roast Chicken from the folks at America’s Test Kitchen is a great way to cook chicken. Just make sure to use ghee in the pan sauce to keep it Whole30-compliant! 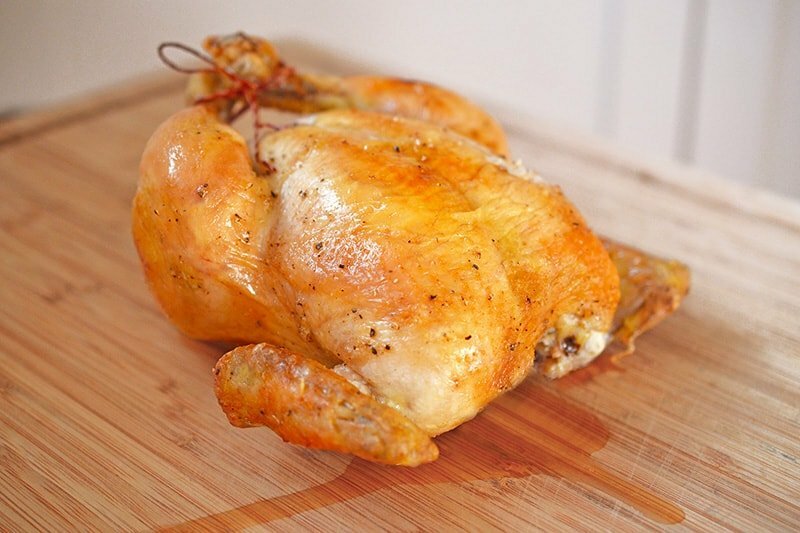 Julia Child’s Classic Roast Chicken: Julia Child is the last word on how to roast a chicken, so if she says you should roast two at a time, do as the queen says. What Side Dish Should I Serve With This? Want more inspiration from my past January Whole30s? Check out my Day 28 posts from 2018!